We at Jazzcash are always looking for new opportunities to provide the best payment solutions for our customers. Staying true to our promise of offering innovative payment solutions to people’s needs, this digital way to tickets purchase is a game changer for the industry. Our ticket payment solution will change the way you buy tickets through streamlined process demonstrating ease and security. 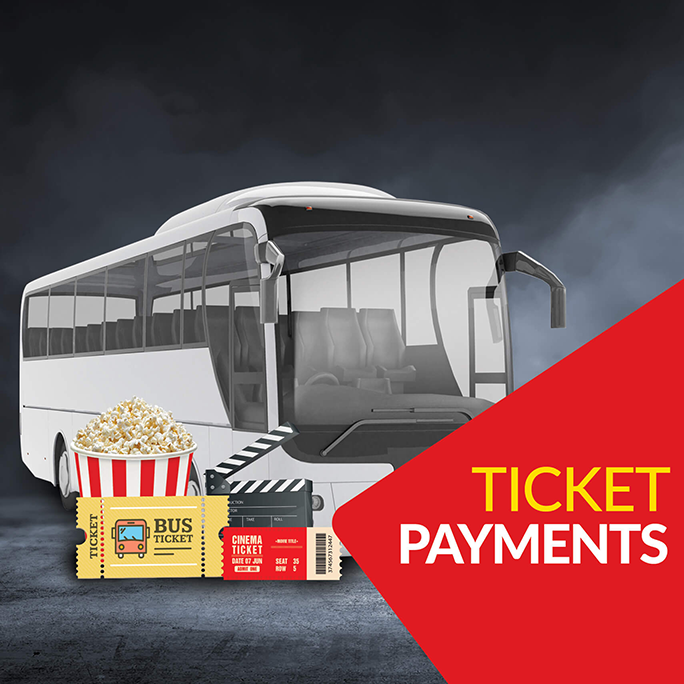 Now you can buy tickets of your favorite movies or of your preferred bus service from the comfort of your home. To pay through JazzCash Agent or JazzCash Mobile Account, simply book your Daewoo tickets by calling the Daewoo helpline (111-007-008), upon booking you will receive a Booking Number in an SMS sent by Daewoo. Simply dial *786# to pay through your Mobile Account or visit your nearest JazzCash agent. Enter your “booking number”& confirm payment.As soon as the payment is done, a confirmation SMS will be sent by both JazzCash.Now your seats are confirmed.Just walk in the terminal 5 minutes before the departure, collect your tickets from ticket counter & enjoy your journey. Now you buy tickets of your favorite movies in cinemas of Mandviwalla Entertainment. Now you don’t have to visit the cinema in advance to buy your booked tickets. Simply call the cinema helpline & book tickets of your favorite movie and ask the cinema representative that you will pay through Jazzcash. As soon as your tickets are booked, you will receive your booking ID in an SMS sent by “MECINEMAS”. Simply dial *786# to pay through your Mobile Account or visit your nearest Jazzcash agent. Enter your booking ID & confirm payment. As soon as the payment is done, a confirmation SMS will be sent by both Jazzcash & the cinema. Now your seats are confirmed. Just walk in the cinema 5 minutes before the movie, collect your tickets from ticket counter & enjoy your movie. So hurry up & buy tickets for your friends & family NOW!